One of my favorite times of the year happens to be the most exhausting time of the year. 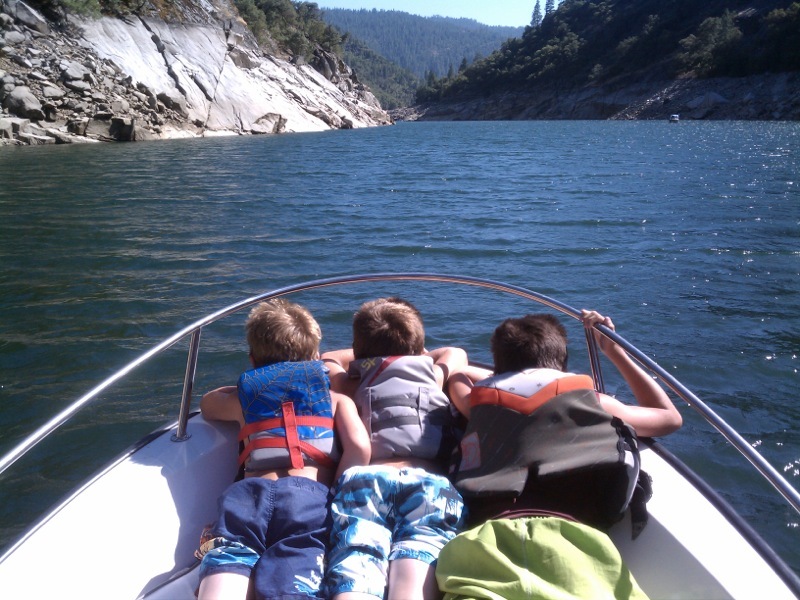 Our annual week at the hideaway with the nephews, now ages 7, 9 and 11, started yesterday afternoon. Today we spent about 6 hours at a favorite lake in the sierras. The boys conked out within 1/2 an hour after eating dinner. Exhausting, but definitely fulfilling. I love these boys! Sounds like a great week ahead with 3 wonderful companions - have a super time. Nothing like fresh air, little boys, and good food to send everyone off to bed. HA! I love it for you, Mad.